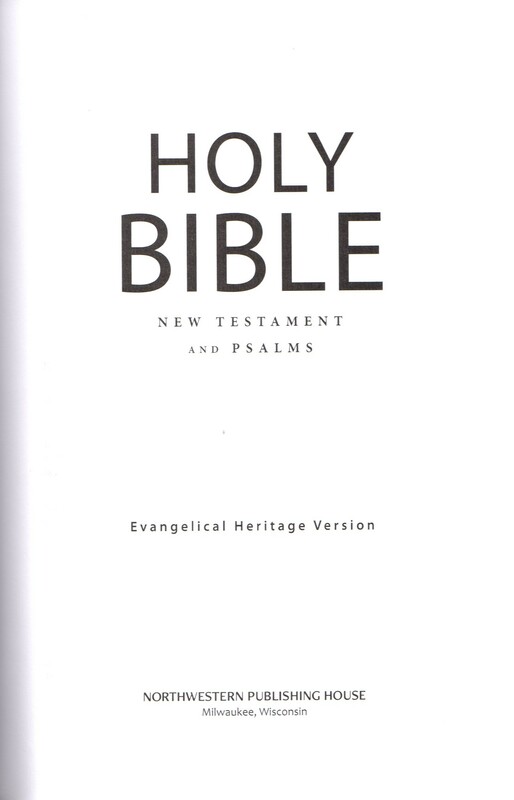 This was produced by "The Wartburg Project," a group of Lutheran pastors and professors who are working together to produce a new translation of the Bible, the Evangelical Heritage Version®. 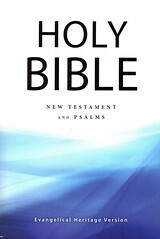 Contents: The New Testament and Psalms. 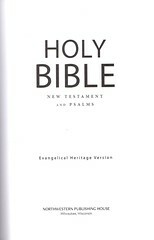 Comments: Contains the text of the New Testament in a single column set as paragraphs with verse numbers in the text. The text of the Psalms is set as poetry. The book begins with a Preface, Introduction and Appendices. Appendix 1 address the question of "Capitalization of References to God." Their position is "references to the Messiah or to God are capitalized if they are titles. Otherwise, they are not. 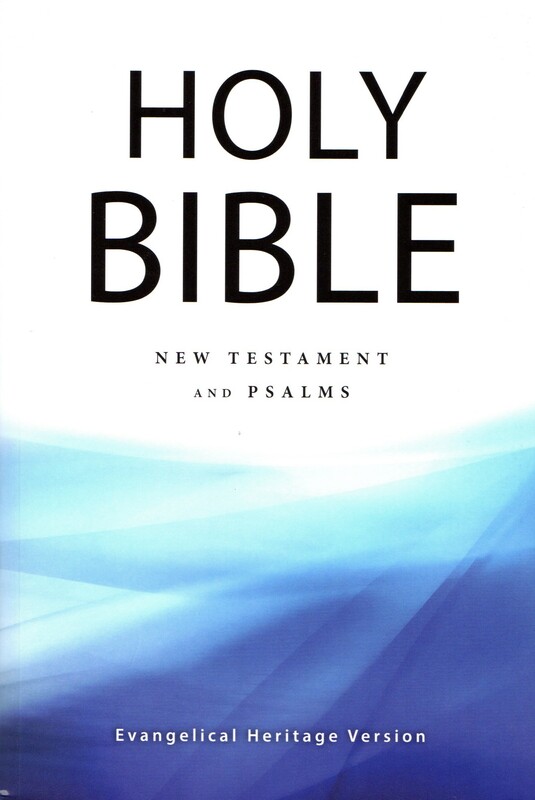 Appendix 2 addresses issues of "The Biblical Text" or the textual basis of the translation. They favor readings that have early and widespread support but include other readings with a footnote indicating the level of support.